For over 100 years, Samsonite has continued to leverage its craftsmanship and heritage as an innovator, to create unique solutions for the sophisticated traveller. By identifying trends and interpreting travellers' needs, Samsonite continues to infuse innovation and new ideas into travel, re-igniting the sophistication and experience of the past and we continue to be an industry leader in product design and innovation. 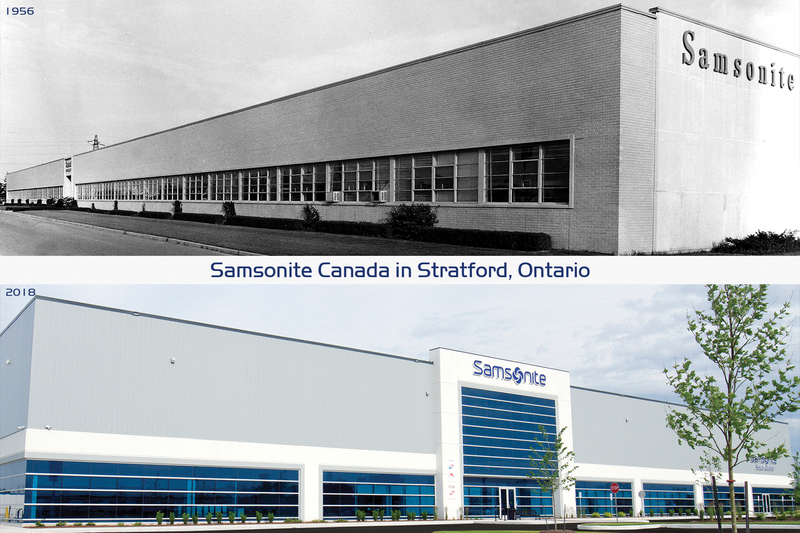 In 1956 the first Samsonite plant opened in Stratford, Ontario and we have now been in Canada for over 60 years! During that time we have successfully transitioned into a multi-brand, multi-product channel, offering a wide selection of luggage, business cases, handbags, travel accessories, casual and outdoor bags. Samsonite Canada distributes seven unique brands including Samsonite, Samsonite Black Label, Hartmann, Lipault Paris, American Tourister, Canadian Tourister and High Sierra. We are a proud supplier of Snow Sports Canada (Canada’s national ski & snowboard teams), providing travel and equipment bags to our nation’s athletes as they compete around the world! We also support the Citypak Project (backpacks designed specifically for the homeless & at-risk community) with an annual distribution event in partnership with Homeless Connect Toronto. Samsonite has a global interest in helping the environment, hiring a Director of Sustainability in 2017 to assess and make recommendations for decreasing our carbon footprint. We are implementing green initiatives at our new Head Office & Distribution facility with a high grade roofing system built to reflect light and elements (which lowers heating and carbon use), upgraded waste systems (built to lower the amount of garbage and increase recycling efforts), higher ceiling heights (reduces overall footprint and reduces energy), and motion-sensitive lights (reduces energy consumption).